Even though they’re among the smallest spaces in your house, bathrooms can be the trickiest to decorate. Like the kitchen and garage, the rooms that hold showers and toilets serve important purpose. Despite the function of bathrooms, they should not be neglected when decorating your house. Our interior design work at GR Home extends to all parts of the house in order to create a cohesive living space. Check out our portfolio for beautiful bathroom design, and read on for decorating tips. While many rooms contain decorative lamps or chandeliers, bathroom lighting is strictly functional. Choose bulbs and placement that work for your routine—vanity lighting for applying makeup, or bright ceiling lights for windowless half bathrooms. For the master bathroom, utilize natural light as much as possible with frosted glass windows for privacy. Candles provide decoration and electricity-less mood lighting. Color dictates a space’s overall energy and mood. A juxtaposition of warm and cool tones will give a friendly, inviting feel. Sharp lines and a white or grey scheme create a clean, modern aesthetic. Add pops of bright color to a plain bathroom in the form of wall art or décor on the counter or windowsill and let the architecture speak for itself. 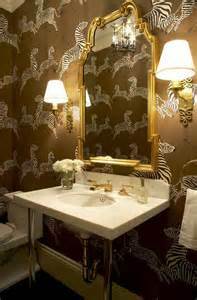 Dimension and texture can be added to the small space in the form of tiling, wallpaper, or decorative mirrors. Don’t be afraid to mix colors, prints and texture—the bathroom is a great place to play with bold accessories that you wouldn’t have in the living room or bedrooms. The bathroom serves an important purpose, so might as well play up its functionality. Let necessary items double as the decoration, such as a stack of colorful towels or display of glass bottles filled with cotton balls or bath salts. Consider the shower curtain, soap dispenser and mirror as elements of style so that unnecessary décor can be eliminated. Posted on July 28, 2014 by graciela in Design Tips, GR Home, Interior Design and tagged Bathroom decoration, Bathroom design, Interior design tips by graciela. Bookmark the permalink.